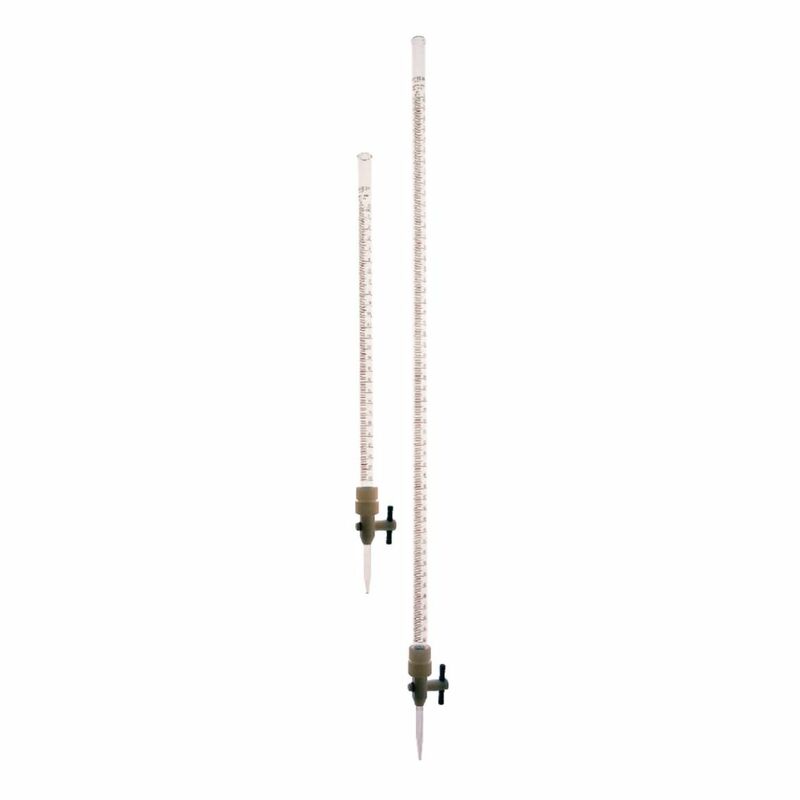 Heavy duty, transparent acrylic burets. Ideal for use in education where breakage often occurs. Supplied with self-lubricating, leakproof PMP stopcock. This buret is unaffected by most dilute aqueous solutions, except ammonia and HF. It is not recommended for use with ethanol or organic solvents. The clear white markings make dark liquids easier to measure the the Teflon stopcock is less likely to freeze up.